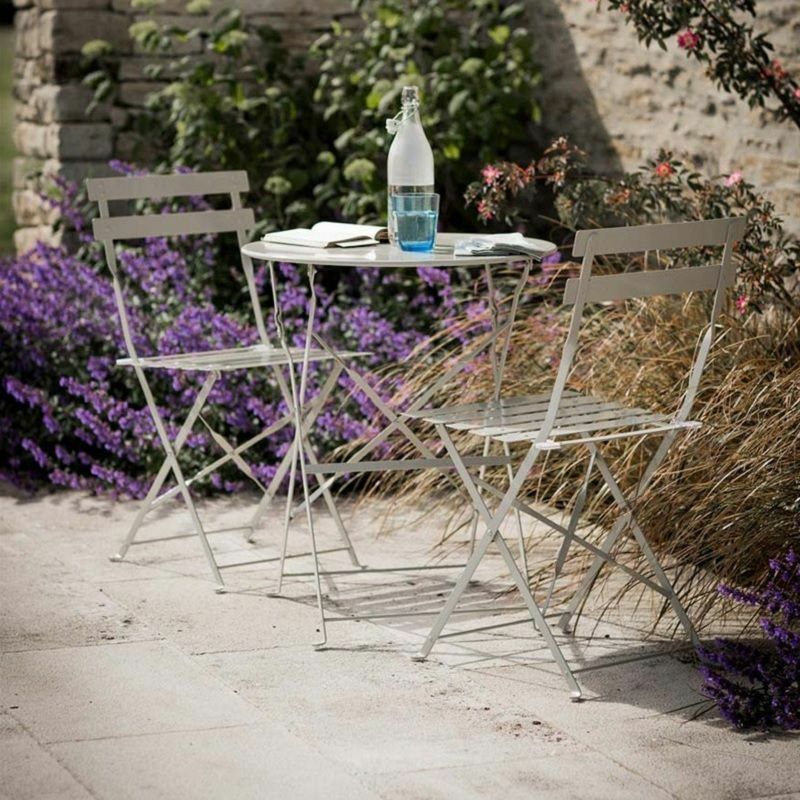 The French inspired Garden Trading Rive Droite Bistro Set of Table and 2 Chairs - Clay is perfect for balconies, patios and gardens of any size. 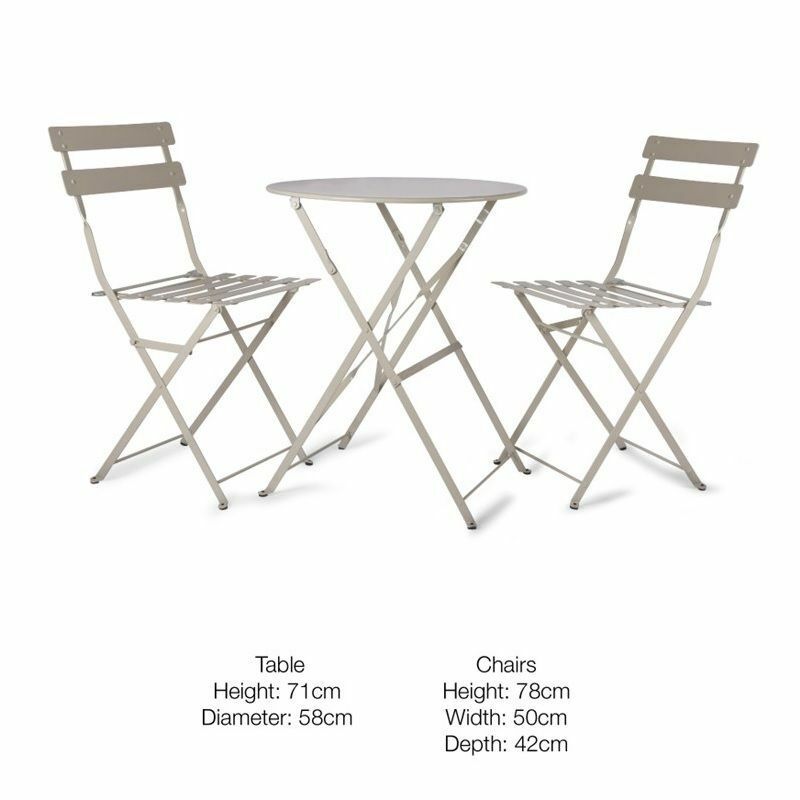 Delicate-looking yet sturdy, the round table and two chairs are easy to fold away and store, or simply move to another part of the garden, should you wish.  They are also compact enough to pop them in the car and take with you camping or to the beach. 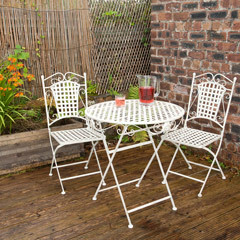 Crafted in Powder Coated Steel the set is weatherproof and durable. We’ve finished in a Clay colourway, a soft off white with hits of cream and green that will add an almost vintage essence to your exterior. 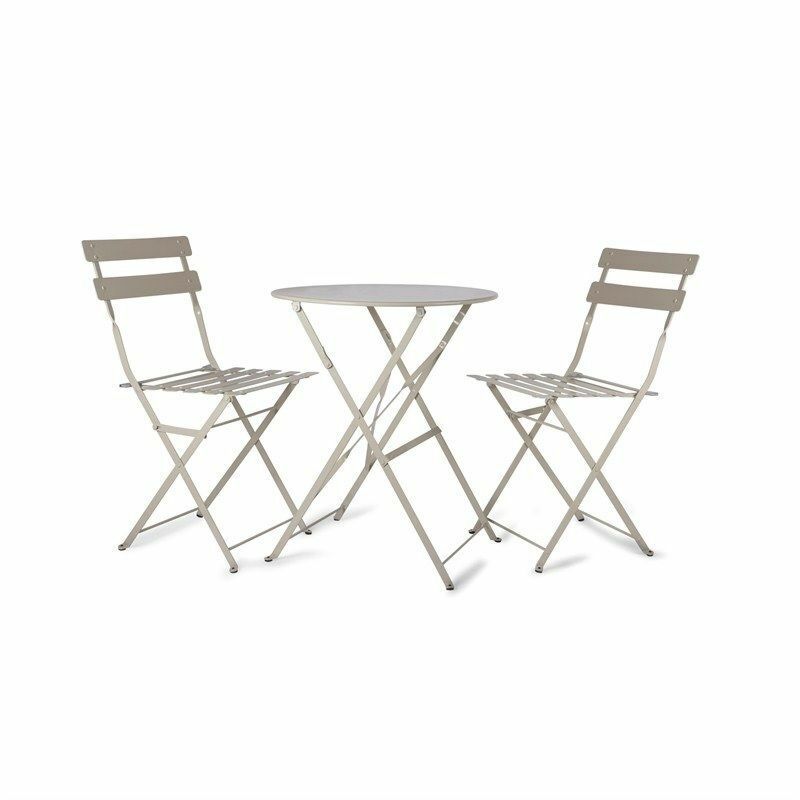 Really delighted with my bistro set.It is really stylish and excellent value for money.